Now that the Lifetime documentary Surviving R. Kelly has aired, one of the stories and people that stood out in the doc was Joycelyn Savage, whose parents have not seen her in years. Tim and Jonjelyn savage are desperate to finally see their daughter again and are requesting a meeting with Joycelyn, but under one condition: R. Kelly doesn't get to be in the room. The Savage's attorney sent out a letter to Kelly's attorney Steven Greenberg, asking that the two parents meet with their daughter. 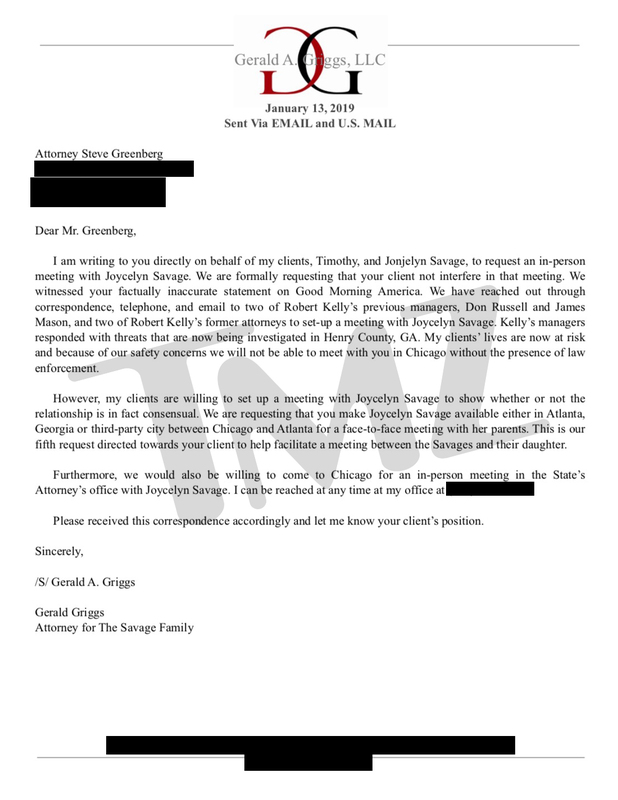 In the letter, which was obtained by TMZ, the Savage's claim that they have been threatened by some of Kelly's former associates and that an investigation has been launched into the matter. They also said that they are scared for their lives and are not willing to meet in Chicago unless police are there to supervise the situation. The family has made attempts to reconnect with their daughter in the past. TMZ did an interview with the family back in 2017, where they claimed the FBI was launching an investigation into Joycelyn's relationship with R. Kelly, who she met when she was 17. Joycelyn released a video back in 2017 telling her father to stop the search and that he was embarrassing the family, although her father believes she was forced to say that.